My son and eggs do not mix well. After planting 2 seeds of pumpkin that months later brought fourth 8 really huge pumpkins,i was left twiddling my thumbs on what to do with the rest of them . I tinkered with a carrot cake recipe i had and i replaced the butter with sunflower oil which gives them a crumbly crust but a very moist inside……yummy. 1. Pre- heat your oven to 150 degrees Celsius. Line a 12 section cupcake tray with liners. 2.In a medium sized bowl sized bowl sift your ingredients,add your wet ingredients and using a hand mixer with whisk attachment,mix for 2-3 minutes till combined. 3.Using an ice cream scoop,spoon mixture into cupcake liners.It should be enough for all 12 of them. 4.Pop into the oven for 25- 30 minutes,you will know they are done when toothpick inserted into the center of the cakes comes out with moist crumbs. 5.Remove from the oven,leave to cool for 15 minutes then remove them from tray and serve. Can be kept in an air tight container in the fridge for 2-3 days. Did you know when you are pregnant your baby feeds off your nutrient bank? That the baby is like a little parasite that feeds off your nutrient stores . Instead of eating for two ensure you are eating from all the food groups and meeting your daily calorie requirements. During the first trimester,your body is undergoing numerous changes and it is also a time when the baby growth is at its most rapid. There is a lot of cell multiplication and many vital tissues and organs are formed during this time. A good idea is to ensure you are very familiar with the food groups and ensure each meal you take has all the food groups in it. The rapid growth and cell multiplication needs proteins which are the body’s building blocks. These can me met by eating a variety of foods like broccoli,cauliflower,avocado,cabbage’chick peas,lentils as well as proteins from animal sources like chicken and beef. A very critical nutrient as it plays a role in brain and spinal cord development,formation of DNA as well as in tissue and cell development. Rich sources of folic acid include green vegetables like spinach,kales,whole grains. This nutrient is so important that women who are even thinking of becoming pregnant are advised to ensure they are meeting their daily intake of this nutrient. A nutrient critical in building up of hemoglobin the blood component that carries oxygen. A pregnant woman has an increased need for oxygen because of the increased blood volume and to help her baby’s iron stores. Babies are actually born with stores of iron that can last 4-6 months. Dry beans,meat,oatmeal,kales,spinach ,broccoli and even pumpkin seeds. Get part 1 of Nutrition in pregnancy here. Bringing a baby to life is a miracle….. The Merriam-webster dictionary definition of a miracle is an extremely outstanding or unusual event,thing or accomplishment. In matters pregnancy it is very important for prospective parents to ensure they are in the best of health prior to conception. Two risk factors that may affect your chances of pregnancy are. Indirect or direct cigarette smoke inhalation does directly affect your chances of pregnancy. If either you or your partner smoke you need to kick the habit before you start trying out for a baby. Smoking during pregnancy affects your baby as the cigarette smoke contains dangerous chemicals that cross the placenta directly from your blood stream into the baby’s. These chemicals affect your baby’s development as well as increase their chances of infections and disease . Alcohol is one of the worlds most liberally abused drug and an increasing number of women who are of child bearing age are getting caught up in the misuse of alcohol. It is a very wise choice to keep your intake of alcohol to the bare minimum if you are thinking of becoming pregnant or have been trying to get pregnant. In this case bare minimum means not more than 2 glasses of wine in a week ,if beer is your choice of drink not more than 2 bottles in a week. A couple that is in good physical health should be able to achieve a healthy pregnancy ,any concerns should be raised with your health care provider. My 6 month old baby loves Zucchini ! She practically smacks her lips with delight when she is having them with her favorite food so far…mashed green bananas. So much does she seem to enjoy them that i had to buy the seeds and plant some in my kitchen garden. Zucca is the Italian name for pumpkin and zucchini is the dimuntive form of that…which means little pumpkin. The zucchini comes in both green and yellow varieties,though in Kenya we only seem to grow the green zucchini/courgette. It is a vegetable that is very versatile and can be cooked in all manner of ways .You can grill,fry,add it to stews,stuff and even deep fry it. I will be posting zucchini a recipe for zucchini pancakes soon. Practically everything this plant has is edible,from the flowers ,leaves and the fruit itself. The leaves are cooked in the same way you would pumpkin leaves,while the flowers can be dipped in a light batter of flour and eggs and deep fried or stuffed with precooked rice,diced vegetables,meats and also deep fried. The zucchini fruit is rich in folate,a B vitamin that the body does not store and whose intake is needed daily for the synthesis of DNA and RNA. Folate intake is especially important for pregnant mothers because it helps prevent neural birth defects like spina bifida. Zucchini are also rich in potassium,Vitamin A and scant amounts of manganese . So next time you go shopping do not dare pass these delightful little pumpkins. 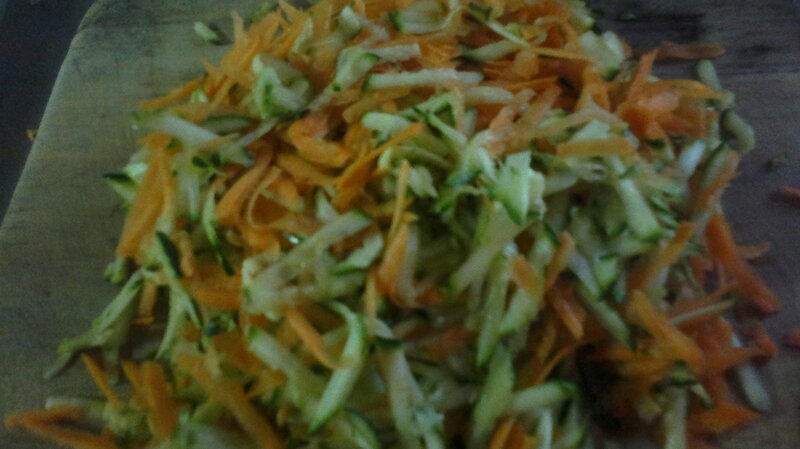 Here is a picture i took of grated zucchini and carrots that use to thicken my stews…it does look lovely not to mention all the added nutritional benefits of two of my favorite vegetables. Better English was an English grammar book we used in class 3 ..the year 19 something and it had some tongue twisters. My favourite at the time wa all about Betty Botter and her butter. Maybe this obsession with Betty may explain my love for butter despite what health experts say that its bad for your arteries. I don’t use it everyday because like all good things moderation is key but when I do.. It is great especially when working with wheat and for popcorn,gives popped corn a really nice buttery taste. And for toasted bread ,especially when you want to make garlic bread…..scrumptious. In terms of nutritional value;a gramme of butter gives you about 7 calories . It is rich in vitamins A and E,Riboflavin which is also known as B12 an is important for body growth and in red cell production,it also helps in releasing energy from carbohydrates. It is also rich in minerals great for your bones and teeth like calcium,phosphorus and potassium while also containing a good amount of sodium and small amounts of fluoride,zinc and magnesium. The Kenyan dairy market has only two types of butter ;salted and unsalted butter. Salted butter has a longer shelf life than unsalted. If you intend to use butter in your cooking use the unsalted one. When using butter for any recipe scoop as much as the recipe needs and refrigerate the rest. When making bread,cookies,cake,flat bread/ chapati or any product that calls for rubbing butter into the flour make sure it’s at room temperature before adding it to your flour.The exception would be in certain pastry recipes where it may call for using cold butter. If you are not going to be using the butter too quickly freeze it as this will help it keep for longer. When using butter for frying,never heat it over high heat as t burns very easily,moderately low heat is best. When using butter with other oils like sunflower oil,first heat the pan add the oil then add your butter . Butter can also be added to soups to give them a glossy silky smooth texture. Here is how to make coriander or dhania butter that you can use on toasted bread/crostini.Only make as much as you can use at a time. In a small bowl using a fork thoroughly mix the butter and coriander together . 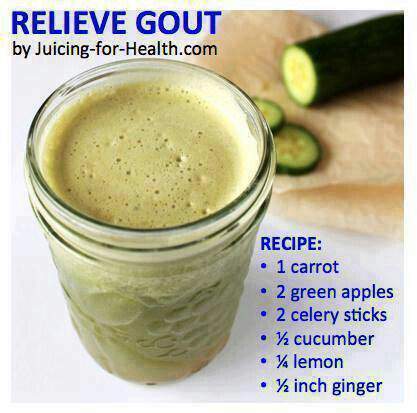 Spread it on fresh slices of bread and toast .